When you hear the term genetic resistance, what enters your mind? Probably antibiotic resistant bacteria which are one of the biggest emerging concerns for health professionals. Or you probably heard about insect pests gaining resistance to insecticides. But what does it actually mean? And is resistance responsible for the natural evolution of some species? When we say an organism is resistant to a substance, we means it is less susceptible to the substance. An organism becomes resistant due to changes in its DNA (which leads to changes in proteins, enzymes and other cell structures made from the DNA template), hence the term genetic resistance. A theory called the Red Queen Hypothesis, explains how this can occur. Fun fact: this theory got its name from Lewis Carroll’s book, Through the Looking-Glass. The Red Queen tells Alice that she needs to run all she can to keep in the same place. To understand this, consider a kind of plant-insect interaction. Plants produce toxins to deter insects from feeding on them and, in turn, insects develop mechanisms to break down the plant toxin, i.e., they evolve resistance to the plant toxin. This is called co-evolution, meaning that two closely associated species influenced the evolution of each other. 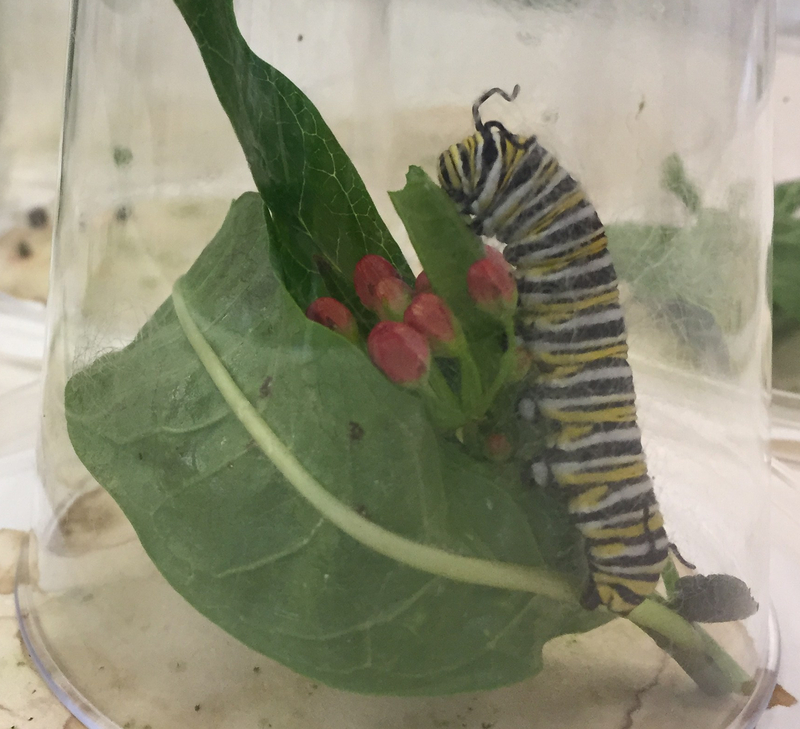 Milkweed plants and monarch butterflies have co-evolved in this way. For example, we apply a pesticide on a crop field to kill a bothersome insect pest. This pesticide kills a large percentage of the pest, but a few survive because of superior genes. These resistant pests can multiply and take over the population. If the pesticide degrades (i.e., breaks down into harmless compounds) soon, the pressure to maintain the superior genes vanish. And the insect pest population could lose these genes, i.e., lose the resistance. This happens because it takes the pests more energy to maintain the superior genes. In the absence of the pesticide, the energy would be spent elsewhere, for example in producing more offspring. However, if the pesticide is present in the environment for a long time, the pests are pressured to maintain the superior genes as the loss of the genes could mean death. Such pressure from such external agents (natural or human agents) is called selection pressure. The organism changes the structure of its cell receptors (molecules that are usually on the surface of the cell). The pollutant can no longer bind to the receptors and alter the functioning of the cell. The organism produces more of the detoxifying (degrading) enzymes that are responsible for excreting pollutants out of the body. The pollutants would be excreted at a faster rate, prior to causing significant damage. The organism produces thicker membranes, for example thicker skin. The pollutant would be unable to penetrate the thick skin and enter the organism. The organism evolves to avoid the chemical, thus escaping exposure to it. Natural co-evolution of resistance between dependent species has been occurring for millennia. However, in the last few centuries, species have also been evolving resistance due to human activities. Resistance develops due to changes in DNA from selection pressure.